This is the last post in our series celebrating 20 years of Maine craft beer. It’s a big milestone for us – as a company and as small business owners – so thanks for joining us on our trip down memory lane, re-visiting our favorite beers, and looking forward to what’s next. Our biggest thanks go to our families for their unending support, love, and humor. You’re the reason we get up every day and do what we do. 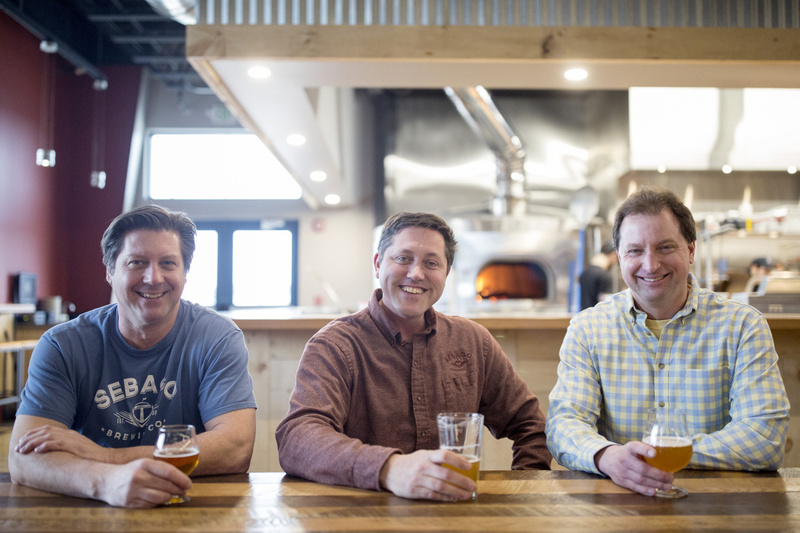 We also want to thank all those people who have helped us get to where we are today, especially Sebago Brewing employees, past and present, who have worked so hard in our brewpubs, in the brewery, behind the scenes, and on the road. Our success is because of you. We definitely want to acknowledge our business partners, suppliers, and wholesale distributors for getting our brand out there and keeping it strong. We’re grateful every day for those enduring relationships and your commitment to our business. Thanks especially to all of our customers—regulars, new patrons, and everyone who supported us from the very beginning. We created the brewpubs and the beer so you could have a great time, and you were up to the task every time. Big props, too, to the Maine Brewers’ Guild and our fellow Maine craft brewers. We’re so lucky to be part of this creative community. Sebago beer is Brewed for Times Like These and Brewed for People Like You! We’ll see you all at the party!